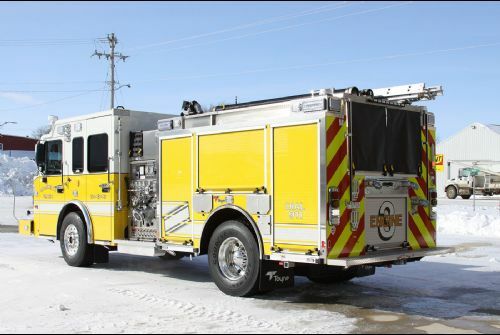 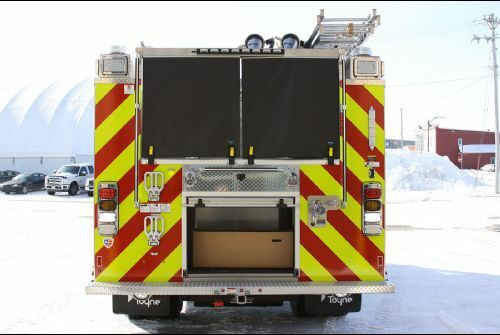 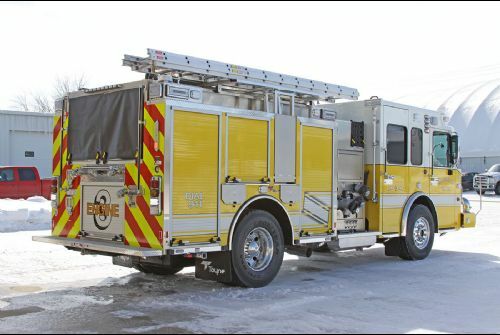 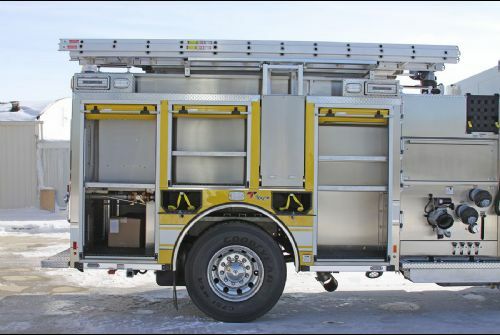 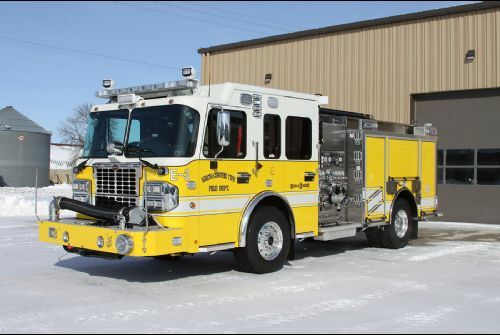 Knox-Center Township Fire Department - April 2019 Featured Customer | Toyne, Inc. 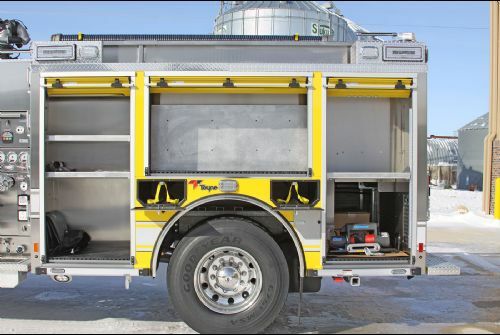 The Toyne Pumper is mounted on a Spartan Metro Star MFD chassis. 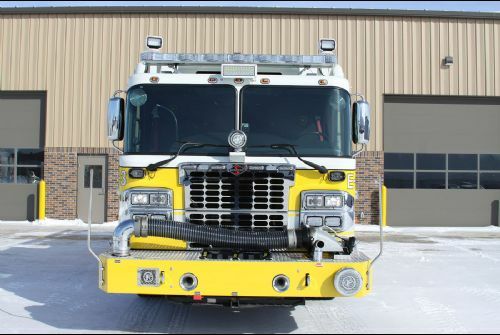 A 450 horsepower Cummins ISL 9 engine powers the pumper and the powertrain includes an Allison 3000 EVS transmission. 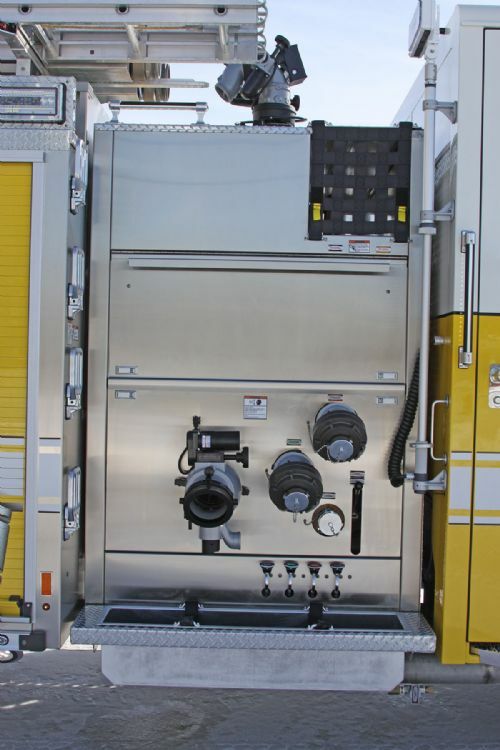 Water is stored in a UPF 500-gallon tank and features an Innovative Controls tank gauge. 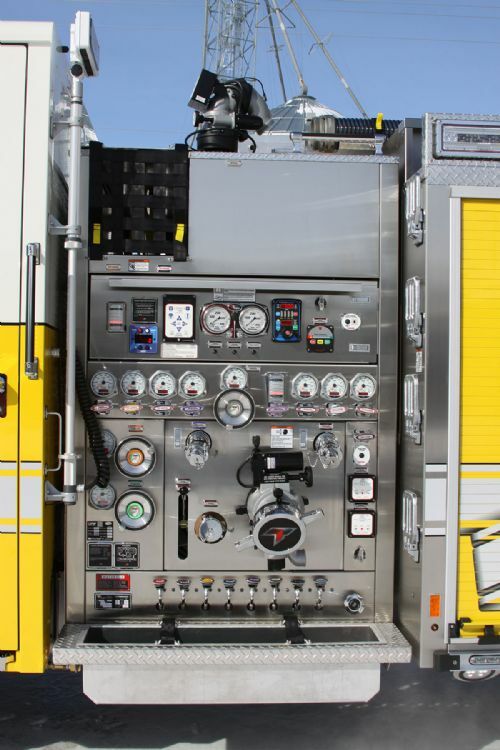 The pumper is outfitted with a Waterous CSUC20 pump, which is capable of moving water at 1,500 gallons per minute. 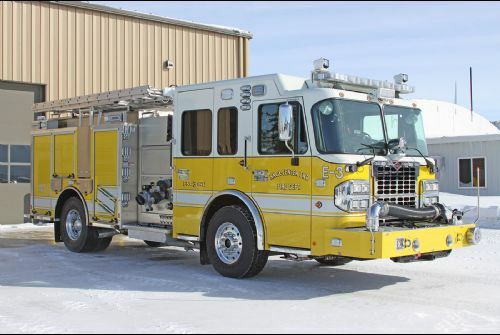 Roger Engvall and The Fire Company, which is based in Allendale, Michigan, sold Knox Fire Department their pumper engine.